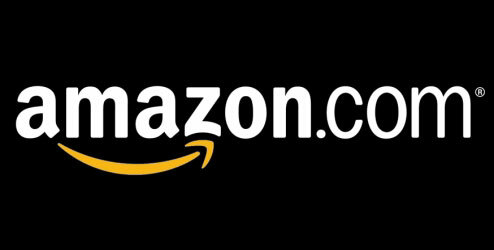 If you are someone who enjoys driving, would like to make some extra money while working your own hours, hut don’t want to drive strangers around like you would have to do with Uber or Lyft, then you should definitely look into working with Amazon Flex. Amazon Flex is essentially the courier service of Amazon. You’ll get to deliver for Amazon, Amazon Prime, and Amazon Restaurants, which means that you can deliver anything from groceries to gifts to other kinds of random products. The last thing you want to do is to randomly stack or throw packages in your car. Otherwise, you’ll waste precious time shuffling through them when the time comes to deliver them. Fortunately, Amazon helps organize the packages for you with cluster codes based on the order and the neighborhood, which allows you to see which packages need to be delivered first or where they need to be delivered to. This way you’ll be able to jump out of your car with a package already in your hand. Again, the very last thing you want to do is sit in front of a house and spend five or ten minutes searching for the right package. Ultimately, by keeping more packages to the front of your car, you will save time and work far more efficiently, which means you’ll also make more money. Your phone will be a valuable tool when working with Amazon Flex, as you will need it to scan barcodes. Make sure that your phone is fully charged before you begin your shift, and keep other things you do with it (such as checking social media or e-mail) to a minimum to conserve battery life. Remember, your battery will always drain faster when you are in an area that receives poor reception. Finally, be realistic about the amount of money you’ll bring home. It’s perfectly possible to make between fifty and one hundred dollars per shift. Once you deduct ten to fifteen dollars for fuel (as you can log anywhere from fifty to seventy five miles in a typical shift) and whatever amount you have to pay in taxes, you’ll come to your total profit. Since each shift can last anywhere from three to five hours typically, that’s not a bad profit margin at all. All in all, these are the top factors that you will want to keep in mind before and while working for Amazon Flex. In a way, working with Amazon Flex essentially means that you’ll be working like an Uber or Lyft driver, only you’ll be delivering packages instead of people.